Apple’s 13-inch MacBook Pro may well be in line for an update at WWDC 2018, with stock levels hinting that the Cupertino firm could be running down supplies in advance of a new model. The annual developer event starts on June 4, and there have been ongoing rumors that Tim Cook & Co. will use its keynote to debut fresh hardware. The current MacBook Pro is offered in three basic forms. The range kicks off with a 13-inch MacBook Pro with a physical function key row; then, there’s a 13-inch version with the Touch Bar, Apple’s OLED touchscreen strip. Finally, there’s the 15-inch MacBook Pro, models of which are only offered with the Touch Bar. It’s the entry-level 13-inch MacBook Pro which has prompted this new refresh rumor. Currently, it’s listed as shipping on June 6, two days after WWDC kicks off, The Mac Observer spotted. The other configurations are still available for immediate shipping, though that may well change in the week or so between now and the event. It’s fair to say that the MacBook Pro has been one of the more controversial products from Apple in recent years. The decision by the firm to drop legacy ports altogether and switch entirely to Thunderbolt 3, for example, has split opinion, given it means existing accessories and peripherals demand the use of clumsy dongles in order to connect. The Touch Bar, too, has been divisive, with many arguing Apple should simply have made the whole MacBook Pro display a touchscreen. Perhaps most annoying, though, is the keyboard. The MacBook Pro uses Apple’s second-generation “Butterfly” switch mechanism, which the company pitches as being more stable and compact than traditional keys. However, some MacBook Pro owners have complained that the keys tend to stick, and aren’t readily cleaned by users themselves. There are at least two class action lawsuits underway, arguing that Apple should retire the design altogether and replace the notebooks of those who bought them. WWDC is typically positioned as a software event, not a hardware one, and as such device launches are generally more rare. Nonetheless, with the more vocal outcry about the current MacBook Pro – and the Touch Bar in particular – coming from the developer community, it’s not hard to imagine Apple using its coder-focused event to debut an updated version that could address some of those complaints. 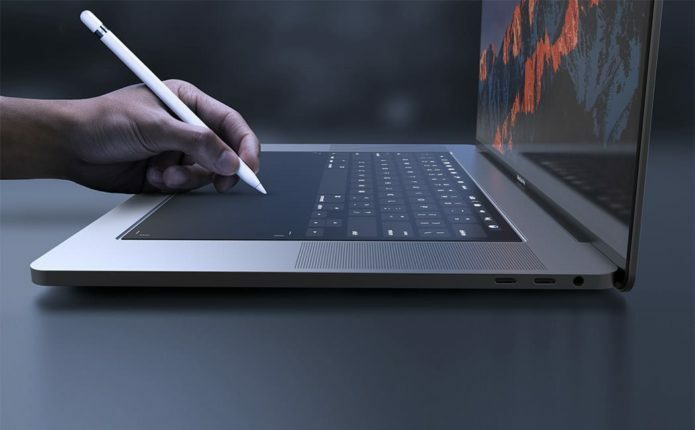 At the same time, there’s also been talk of another new Apple notebook which could arrive at the Worldwide Developer Conference. That’s a rumored 13-inch MacBook, replacing the current 13-inch MacBook Air which is looking fairly long in the tooth. One possibility is that Apple could not only oust the old Air but the non-Touch Bar MacBook Pro, too, replacing them both with this new 13-inch MacBook with Retina display. We won’t know for sure either way until WWDC 2018, which kicks off on June 4. For the moment, though, it’s probably worth holding off if you were considering picking up a new MacBook Pro.